I am a wife to my amazing husband, Mark, and a mom to my two incredible children, Michaela and Max. 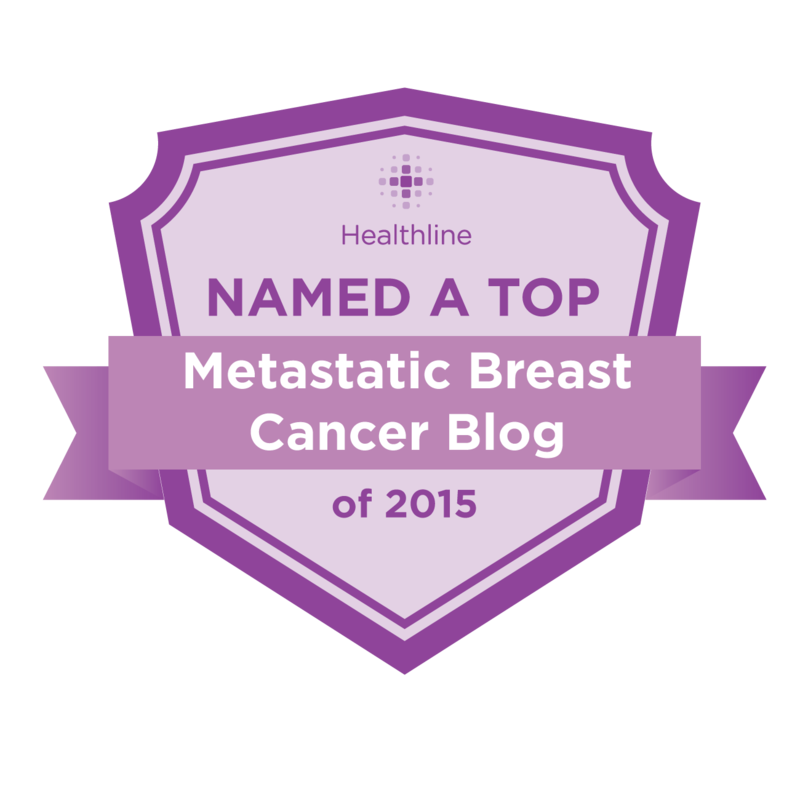 I am also a woman living day to day with metastatic breast cancer. My story begins in July, 2010. We had just got the most wonderful dog, a Coton de Tulear named Wally. I noticed a pulling/stretching sensation when picking Wally up. While sitting at the kitchen table one day, I followed the strange sensation up my right arm. I found a very large lump under my right armpit. I had a biopsy done soon after. It was determined I had a malignancy. I had further testing, and it was decided I would have a lumpectomy and right axillary dissection. The lump I had found was a lymph node. I had 42 cancerous lymph nodes removed along with a very small, but very aggressive tumor. 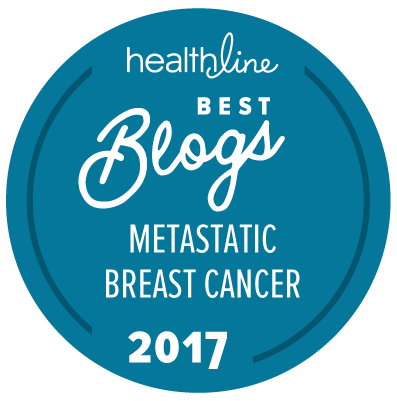 I was diagnosed with stage III invasive ductile carcinoma. I had genetic testing done, and tested positive for the BRCA2 gene mutation. After receiving chemotherapy and radiation, I received a bilateral salpingo oopherectomy. I had 3 great years cancer free! The summer of 2013, I noticed a lump on my head. I also started having nausea, especially in the morning. I didn’t pay much attention to it because I was busy getting my daughter ready for her freshmen year at The George Washington University, and my son ready for his freshman year in high school. After the kids were back in school, I went to my primary doctor to get these problems looked at. An X-ray was performed, and I had blood work done. I received a call later that afternoon to make an appointment with my oncologist. A PET scan showed metastases in the bones and liver. I was told I had stage IV breast cancer, there was no cure, but the cancer was treatable. On top of that, I have thyroid cancer too! I started chemotherapy right away and continued for the next six months, and I also took Zometa for treatment of my bones. After chemotherapy ended, I began Faslodex for my hormone therapy, while continuing with Zometa. In these crazy times where I basically feel like breast cancer is an inevitable part of being a woman, I can only hope that if and when my time comes I can handle myself with half of your spirit, positivity and humor. You are an inspiration!!! So proud of you for writing this blog and reminding each and every one of us to appreciate life and all we have. You are a brave, funny, honest and corageous woman who inspires everyone around you. Thank you my dear friend for the kind words. Thank you for always being there for me. Susan I wish you the best in your current battle. You are truly an inspiration! Susan, not sure if you remember me from many years ago (we have a mutual friend, Denise). You are clearly filled with strength and positivity, and you are in my thoughts and prayers. Cheri, I am sorry I don’t remember. Please refresh my memory. Thank you for the kind words. I have just read all your posts. You are an amazingly strong and beautiful woman, mother, and wife. Your family is also amazing. I wish for you many years if possible. Keep up the fight! I just found a lump in my breast tonight and I hope to have half the strength you have facing whatever this journey may be. God Bless You! Thank you for the kind words, Jennifer. I’m going to reply to your email. I too have MBC. Diagnosed in March 2018, You’re very inspirational! I love your positive energy. I don’t personally know anyone else with Stage IV MBC. I can’t imagine all that you’ve gone through but you are doing it with grace. And I’d like to say “You ROCK the bald style! !” Best wishes and prayers for you and your family! Hi Tina. Glad to know you. Thank you for the very kind words. I’m sorry to hear of your diagnosis. Treatments are getting better everyday….this, along with great medical care gives me hope. I’m always free to chat, so please keep in touch. Best wishes to you.